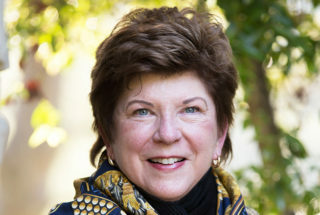 Here are the responses from Delaine Eastin, the former California State Superintendent of Public Instruction. I believe our children must be our priority, and healthcare for all should be provided for all children, even before we have figured out how to provide it for all Californians. We should have an increased investment in prenatal care, fully paid paternity and maternity leave, licensed and affordable child development centers so parents can go to work, universal preschool from the age of 3, mandatory, full day kindergarten, nutritious breakfasts and lunches at all K-12 schools that are available to all children, and licensed nurses and access to medical and dental care at all schools. We must fund community schools and raise per pupil funding in California to the top 10 of the 50 states. We must have sufficient resources to identify children who are in dysfunctional family settings to make sure they have the additional support, to build healthy families that feel nurtured and able to thrive. We need trauma-informed schools and our schools must have counselors and we must make sure all educators are trained to support children’s social and emotional health. Child poverty is most commonly associated with familial poverty, which is often associated with parents who are unemployed or underemployed because they lack skills and education, are physically or mentally not healthy or are unable to work because of childcare deficiencies. If the child is in foster care, they may be socially insecure because they have not been accustomed to living in a stable, supportive environment. We must focus on children in foster care and in group homes to get additional counseling and social support to increase high school graduation rates and college going rates. We must improve financial support in the form of welfare to families with children and give more support to parents who want to return to school to improve their skills. We must increase the support for child development in our state and make high quality full day preschool universally available. We must invest in community schools to support families, and partner with communities to help meet the needs be those needs academic, medical, social. We must make certain that all children receive nutritious breakfasts, lunches and snacks in school. We must make kindergarten mandatory and full day. We must invest more in K-12 education and make college tuition free again. Educating adults helps to reduce child poverty. We must remember that the best economic development program and the best crime prevention program is education. I believe prevention starts with support and education. We must expand prenatal care, make sure pregnant women are not only getting access to good nutrition and medical care, but are also learning about the new and very important job they are about to take on, that of being a parent. We need a more nimble child abuse detection and avoidance system. Our children cannot wait, and some of our communities are doing better jobs than others. We need to look at those communities that are more successful, and study what they are doing and publicize that information and foster programs to replicate it. As Governor I would call on our great public and private research institutions to join with leading practitioners in California’s welfare system to draft a strategic plan to dramatically improve our child welfare system. We would ask this Child Welfare Task Force to suggest legislative enhancements to our child welfare system to dramatically reduce child neglect and enhance child welfare. While the LCFF framework is a step in the right direction, and promised additional resources to low-income students, foster youth and English language learners as it should in my opinion, the system is badly underfunded overall. I support the LCFF framework but California needs to increase the level of per-pupil funding of education from the bottom 10 to the top 10 states in the union. The State needs to ensure the schools have all the resources, funding and tools necessary to support the continuous improvement of school districts and schools identified as needing improvement. We must consider even more support for the lowest performing subgroups. There is support for more reporting of LCFF expenditures by school site to ensure that supplemental funds are following the students with the greatest need. We should continue our support for Sanctuary State status. We should advocate for immigrant families to not only receive complete educational opportunities from preschool to graduate school, from cradle to career, but to also build an affordable healthcare system for all, including immigrant families. When Californians traveling in Canada or Europe, get sick, they are often amazed at the high quality care they receive at little cost. We must work to provide affordable, high quality housing for all people, as the social responsibility of a civilized society. We must make certain that those here visiting or emigrating from other countries, documented or not, enjoy the blessings of liberty associated with this nation’s founding principles. As a young Community College Instructor, I taught at the California Youth Authority at Ventura School and I was astounded at how many of these incarcerated youth had been abused or neglected. That was 40 years ago and, I am certain, the situation has only worsened. The state must have a full court press to educate young parents about the proper care and support of children. Preschools and schools must increase their social and emotional support for children and their families. Early education, intervention and support is critical. Once identified in the youth justice system, we must build a scaffolding of support for these children so that if they are exposed to abuse or neglect, or see abuse or neglect in their home, they have access to services to get the help they need. As Superintendent of Public Instruction, I initiated a campaign to ask high tech companies to help us wire the schools of California. President Clinton and Vice President Gore came to California and together, on Net Day, along with 20,000 volunteers, we wired thousands of schools in 1996. My passion for giving all students access to technology and to STEM education has never flagged. As Governor I will make a commitment to Broadband for all, including in rural remote California. We need to promote STEM (or STEAM) education throughout our state. I served on the UC Davis Chancellor’s Women in STEM Advisory Board for several years and I have believed in this approach for decades. Sadly, as we are in the bottom 10 of the 50 states in per pupil funding, new initiatives are sometimes not enthusiastically supported because some schools, especially rural, remote schools and poor, inner city schools are so under resourced that they struggle to keep the lights on. We need a full court press to invite our students to prepare for the challenges of high tech tomorrows. It will contribute to their enthusiasm to learning as well as prepare them for brilliant futures.